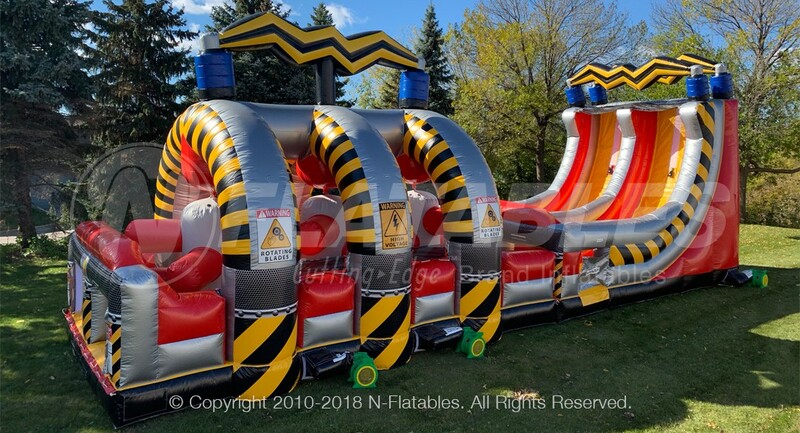 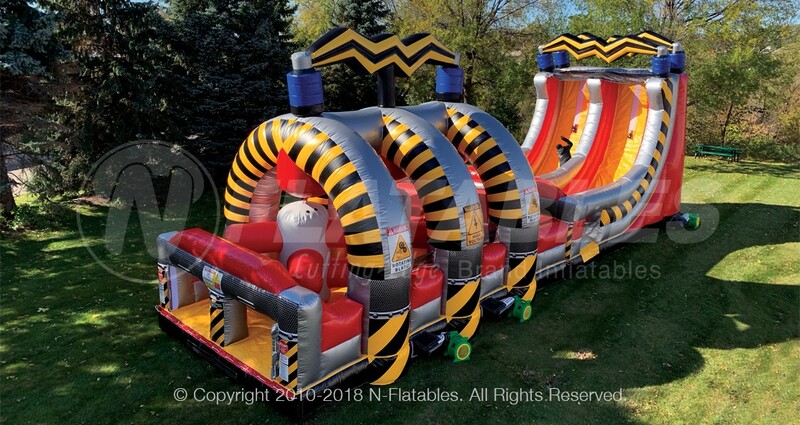 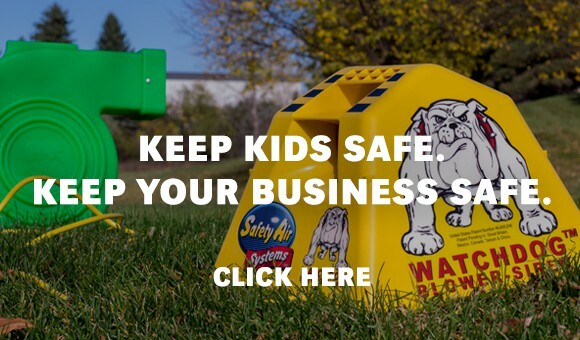 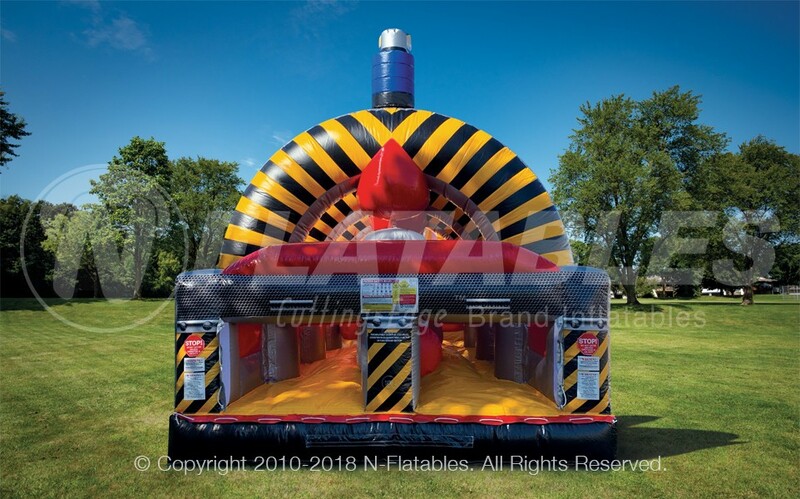 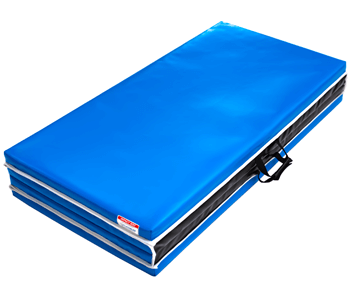 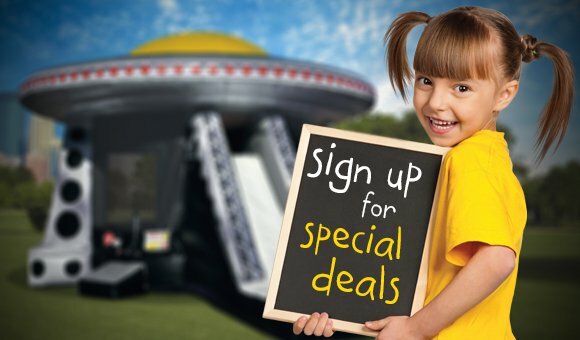 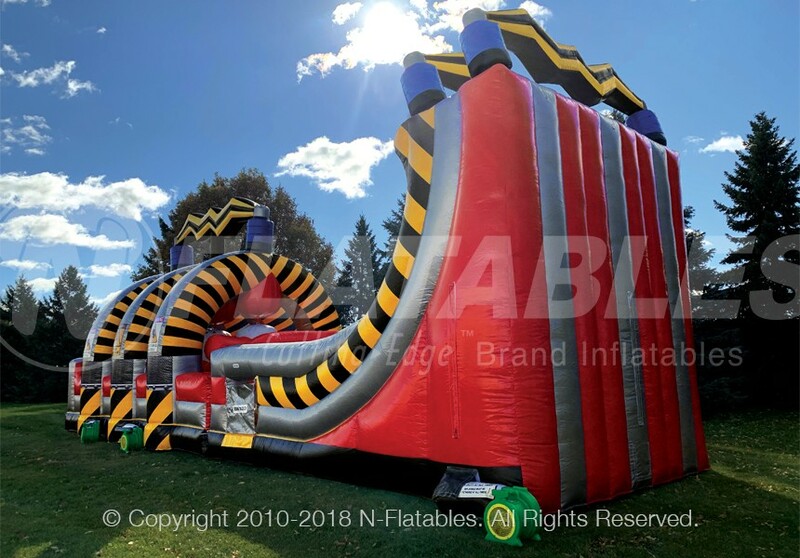 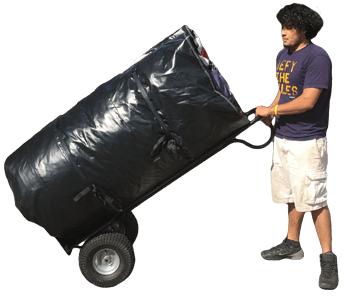 This unit truly puts a whole new "spin" on inflatable obstacle courses! 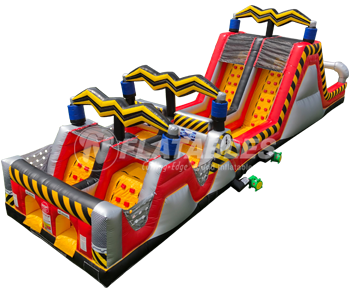 The Grinder features 3 giant grinding turnstyles that manually spin in opposite directions to squeeze and push back your opponent. 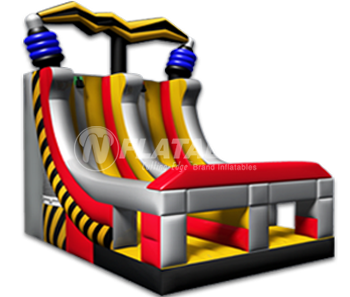 Whoever is able to sprint up the warped wall and ring the cowbell first wins! 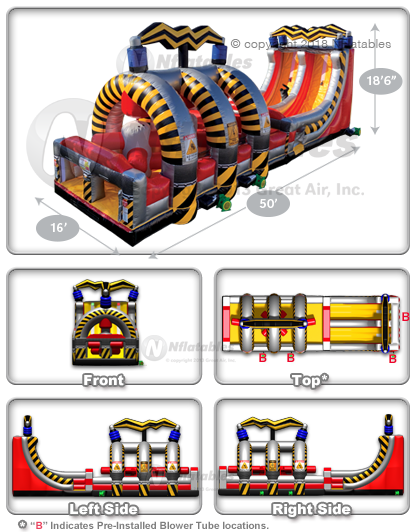 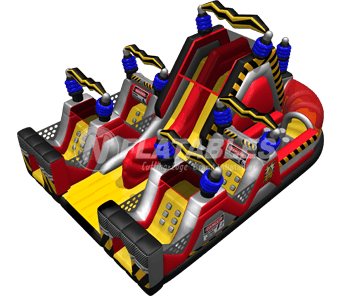 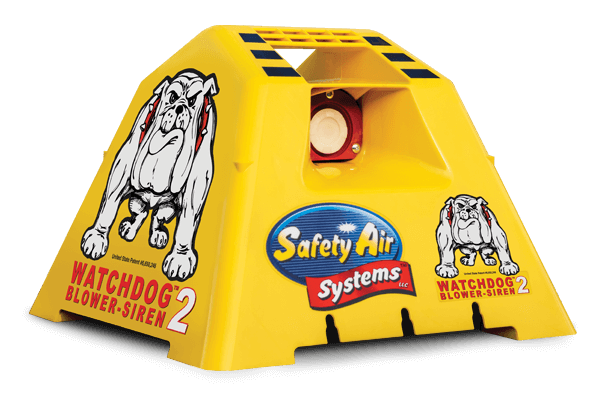 This unit is also compatible with an IPS (Interactive Play System) to add even more excitement!